In the context of Google Analytics, ‘Client ID’ and ‘User ID‘ are not the one and same thing. Client ID represents unique browser/device. User ID represents unique user. 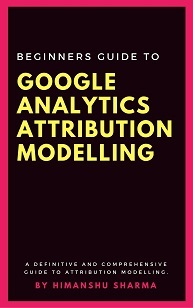 Client ID is created and assigned by Universal Analytics cookie _ga. User ID is created and assigned by people like me and you. Client ID is assigned to each unique user of your website. User ID is generally assigned only to logged in users. Client ID is made up of unique random number and the first time stamp (i.e. the time of first visit). For example: 124562358.46738999. Client ID can exist only on the device/browser on which it has been setup. Because of this attribute, a Client ID cannot be used to measure across devices. User ID can exist across devices and browsers. Because of this attribute, a User ID can be used to measure across devices. Client ID cannot accurately identify the number of unique users as a unique user can be counted multiple times when he/she switch devices/browsers. User ID can more accurately identify the number of unique users of your website as a unique user is counted only once even if he/she switch devices/browsers. The use of client ID creates attribution issues as it exist only on the device/browser on which it has been setup. Thus you can’t attribute user engagement spread across multiple devices and sessions to a single user in your GA reports. The use of User ID helps in fixing attribution issues as it can exist across devices / browsers. Thus you can attribute user engagement spread across multiple devices and browsers to a single user in your GA reports. On a single device/browser, client ID can provider better picture of the customer purchase journey than User ID as through client id feature you can track users and their activity from the very first time they visited your website. Through user id feature you can’t track users and their activity from the very first time they visited your website and before they decided to sign up and login.